Proteases remove human sweat, blood and egg. Amylases remove starch residues from chocolate, gravies and pasta. Cellulases brighten the color of cotton blends and soften the fabric by modifying the fabric’s structure. Lipases, though, represent the most important group of biocatalysts in the biotechnology industry because of their commercial potential. They’re biodegradable, non-toxic, easy to produce in large quantities and tailorable for a variety of substrates. Lipase is one type of enzyme. 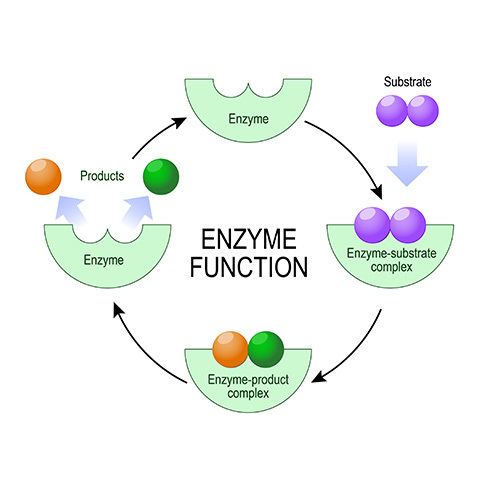 Enzymes are protein molecules that work as catalysts to speed up a reaction. They act specifically, meaning that each enzyme only works on a particular molecule. For example, lipase binds to fatty substances but would not bind to sugary compounds. Enzymes do not get used up during a reaction and can act as a catalyst repeatedly. One enzyme can usually catalyze about 10,000 reactions per second. Only a small amount of enzyme can produce a large effect on the solution because each enzyme is reusable so many times. Most detergents contain only 0.4 to 0.8 percent crude enzyme by weight. Lipase is the enzyme that breaks down lipids (fats). Most act at a specific location along the glycerol chain so different lipases can target specific types of fats. Using a specific selection of lipases on a substrate can also create a particular final product. Several human and industrial lipases exist. The human pancreas produces lipases as part of the digestion process. Animals, bacteria and fungi also produce lipases. Lipases used for industrial purposes were once procured from animal sources, though now they’re primarily sourced from bacteria and fungi. Research has begun into engineering enzymes for specific applications. Several applications already use lipases, including pharmaceuticals, leather, bioremediation, agriculture, cosmetics and detergents. Each year, approximately 1,000 tons of lipases make their way into detergents, though it still only accounts for less than 5 percent of the detergent market. Lipase use in the cosmetic and detergent industry could grow 9.13 percent annually. More specifically, lipases, usually in conjunction with other substances, are used in detergents that remove manure from domestic animals, as well as in water reconditioning and degreasing. They’re also a component of cleaning products used in the foodservice industry to unclog drains and grease traps. Enzymatic cleaning of medical instruments before they undergo disinfection is also typical. Lipase detergent can help remove the biofilm left on gastrointestinal endoscopes and difficult stains and particles left on orthopedic and laparoscopic surgical instruments. They also clean delicate instruments used for microsurgical ophthalmic procedures. The automotive industry uses lipase to process biodiesel, changing vegetable oil into fuel. This use makes it a desirable alternative for costlier, energy-intensive chemicals. The commercial food industry uses lipases to produce cheese and yogurt, and research is investigating its use in baking. Our Addclean enzyme products help remove a wide variety of tough stains. Our lipase enzyme formula, Addclean LP, comes in both solid and liquid options and is effective in removing grease, sauces, vegetable oils and sebum. Stable in the presence of other additives likely to exist in the final product, such as metal ions, surfactants and oxidants. Active on a variety of fabrics. Lipase is an additive to detergents. The enzyme breaks down the oily stain, then surfactants in the detergent attach to the remnants of the stain to remove it from the clothing. Lipase can be used on the surface of materials to ensure easy removal of oil. 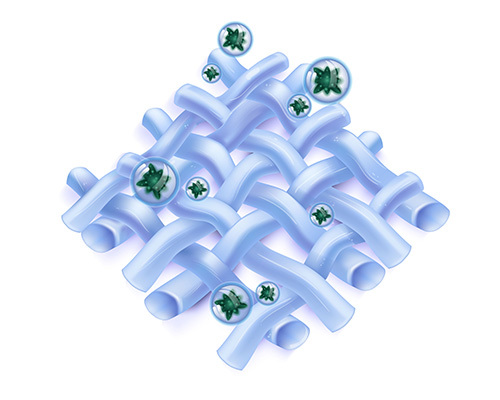 It works by forming a fabric-lipase complex on the surface of the clothing that creates a barrier. The barrier stops the enzyme from being removed during washing and prevents oily substances from being deposited on the material. It remains active once the clothing is dry. Biological detergents contain enzymes that can break down stains, while non-biological detergents use other methods of stain removal. 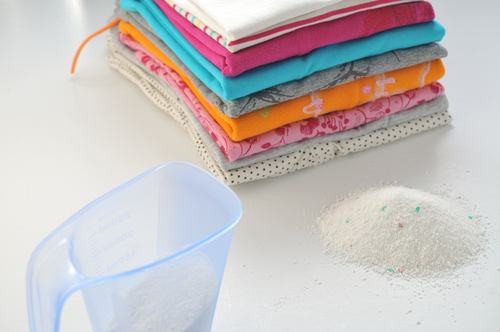 Non-biological detergents may tackle tough stains with harsher chemicals, higher temperatures or longer soaking times. Biological detergents are effective even at lower temperatures and on quicker wash cycles than their non-biological counterparts. That translates into savings for the consumer and less environmental impact by the manufacturer. The addition of enzymes into cleaning products helps increase their effectiveness while reducing their environmental impact. Enzymes are a detergent’s key to removing stains from a variety of sources with minimal energy consumption. Other enzymes are already widely used in a variety of detergents. Research into microbial lipase is ongoing because of how easy it is to create, use and modify for industrial purposes.